Soderbergh’s bold construction of The Limey hints at how experimental his career would soon become. In the late ‘90s, Steven Soderbergh began a run of films that marked his most commercially and critically successful period. Out of Sight, Erin Brockovich, Traffic and Ocean’s Eleven made a combined 950 million dollars (not adjusted for inflation) and were nominated for a total of 12 Oscars, winning five. The black sheep of this period is The Limey, which made less than four million dollars worldwide and won no major awards. The neo-noir revenge thriller stars Terence Stamp as Wilson, an Englishman visiting Los Angeles to investigate the death of his daughter Jenny (Melissa George in an early role). Wilson interviews several of Jenny’s friends, including Elaine (a fantastic Lesley Ann Warren) and Eduardo (Luis Guzmán), and eventually lands on the trail of Jenny’s record producer-drug dealer ex-boyfriend Terry Valentine (Peter Fonda in a wonderfully sleazy role). Vengeance ensues. The story is simple, but the execution is anything but. 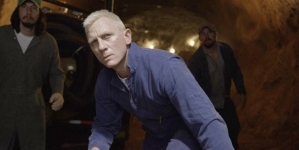 In fact, Soderbergh’s bold construction of The Limey hints at how experimental his career would soon become. The cinematography is similar to that of Traffic, Erin Brockovich and Out of Sight, with bright colors and burning light offset by deep, sad shadows. But here Soderbergh declines to match dialogue with speech, instead choosing to tell the story from Wilson’s dubious memory. For instance, a character will speak silently, only for the dialogue to be heard over another image. This leads to a confusing timeline which works surprising well for what would otherwise be a linear revenge thriller (a tactic further proven several years later by Quentin Tarantino’s Kill Bill). The most ingenious element of The Limey is how Soderbergh flashes back to Wilson’s youth. Instead of hiring another actor to portray a young version of Stamp’s character, Soderbergh uses Stamp himself. The director secured the rights to director Ken Loach’s 1967 debut Poor Cow, which starred Stamp, and uses scenes from that film as flashbacks from Wilson’s early life. It works wonderfully, and drove Soderbergh to study of all of Loach’s work, which would inspire Erin Brockovich. Though The Limey didn’t reach the commercial heights typical of Soderbergh’s prime, it’s not for lack of creative force. What sets it apart is that instead of casting contemporary box office draws, Soderbergh opted for stars from the ‘60s and ‘70s, and this helps lend the film its undeniable charm. The roles played by Stamp and Warren could have easily been played by Out of Sight’s George Clooney and Jennifer Lopez, but what a treat it is to see veteran actors get such juicy material. The same applies to Peter Fonda, Joe Dallesandro, and Barry Newman, who clearly relish the opportunity for meaty roles. It’s also a pleasure to see a director who would later become famous for celebrity-stuffed films like the Ocean’s Eleven series and Contagion work with a cast of veterans who may not have otherwise gotten the opportunity. It is similar to a tactic that Soderbergh would in films like The Girlfriend Experience and Haywire, where Soderbergh plucked talent from relative obscurity and put them front and center. If The Limey was a showcase for experimentation, it also proved the director’s talent for identifying and cultivate talent from a variety of sources, a brave gambit in an industry obsessed with the bottom line. This makes it a brave film indeed. 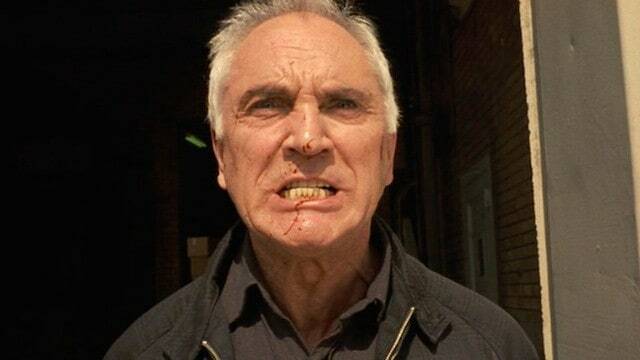 The Limey ends with a scene from Poor Cow; what other director would have the guts and or modesty to end their film with a scene from another director’s work?